I know not from whence this bacon demon comes from, but it definitely looks like it’s ready to kill you. And while it might just stare you down with its demonic yellow eyes, its real plan is to do you in the old fashioned way – with coronary artery disease. And while that’s definitely not a pleasant way to go, at least you will have enjoyed its bacon-y goodness before it does you in. 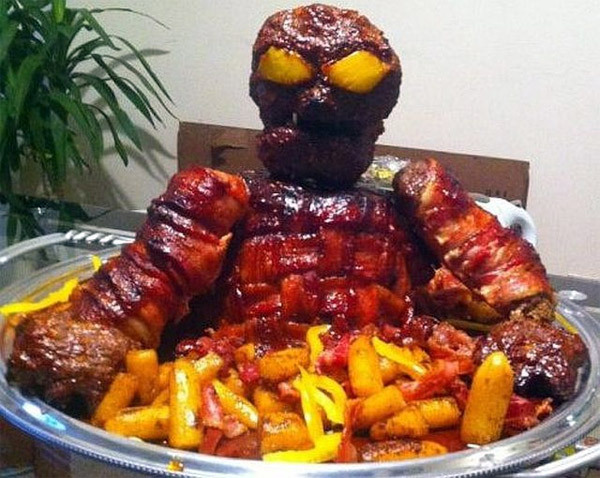 I’m not sure what else the bacon demon is made of, but I’m betting his torso, arms and head are some sort of delicious meatloaf – and there’s nothing quite as heavenly as a bacon-wrapped meatloaf. Anyone want to take a guess as to what the yellow stuff is? 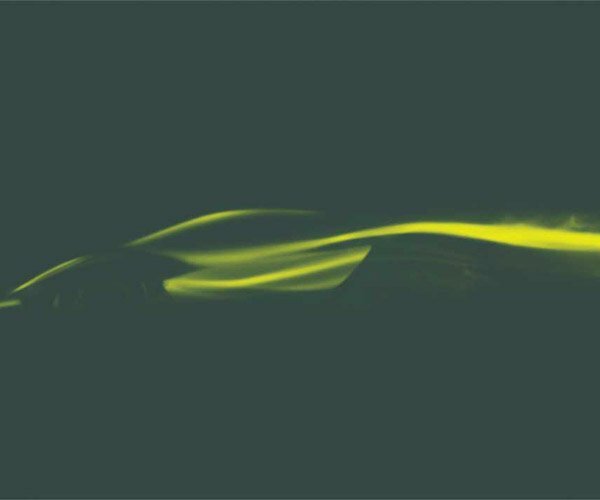 Looks like french fries and yellow peppers. Why do chefs insist on ruining perfectly good meals with bell peppers? All they do is give me a stomach ache and bad gas.